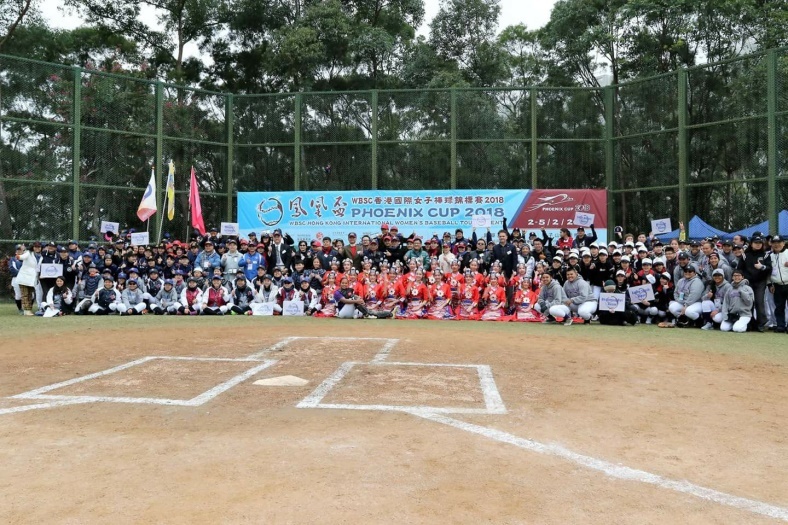 12 Teams from China, Guam, Hong Kong, Japan, Singapore and Taiwan played total 24 games for four days to conclude on February 5 at the popular “Phoenix Cup” hosted by Hong Kong Baseball Association (President Philip Li). “Far East Bloomers” of Japan won the championship followed by “Lucky Youth” (Japan), “Hong Kong Allies”, “Buick Lady Regals” (Guam), “Taiwan Sunflower”, “Taipei Yu-Sheng Highmatch” (Taiwan), “Hong Kong Bravo”, “Bottomed Out” (Guam), “Orsus Dumbo” (China), “Branson” (China), “Shenzhen RG” (China), and “Singapore Panthers”. The event follows the inaugural BFA Women’s Baseball Asian Cup in Hong Kong from September 2 to 7, 2017 and the BFA Executive Committee Meeting on January 31, 2018 when the launching of BFA Women’s Commission comprising Hong Kong, Korea, Japan and Taiwan signifying growth of Women’s Baseball. Elsewhere, Taiwanese players are entering the Japan Women's Baseball League (JWBL) for the first time. Three of them on February 4 joined two teams in the professional league after successful tryouts. Pitcher/infielder Hsieh Yu-ying (謝鈺瀅) and outfielder Shen Chia-wen (沈嘉文) will play for the Kyoto Flora, while pitcher/outfielder Tseng Chi (曾琪) will join the Aichi Dione.